RITA is know as the "Elegant Elder" on the farm. She is mature and wise and the mother of 12. She is now retired from breeding and is relaxing taking on the role of grandmother, aunt and overall herd chaperone. 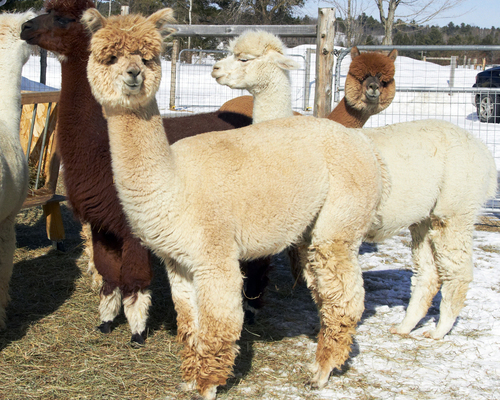 Rita was one of the orignal imported alpacas to the U.S. and you can still see the signs of her quarantining by the markings on her ears. 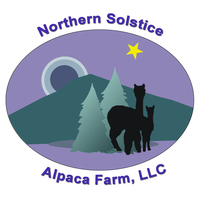 Rita is owned by Alpacas of Unity and is boarded at Northern Solstice Alpaca Farm. Sonata is a beautiful girl with lots of experience being a great, attentive Mom. 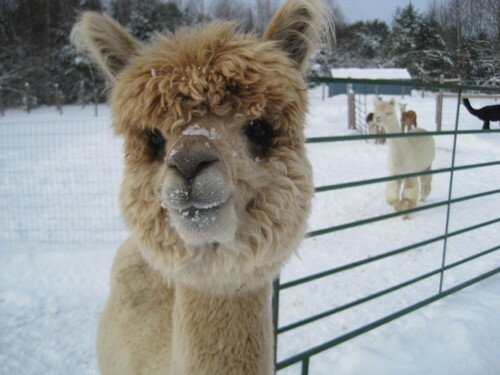 The mother of 3, she has all of the attributes a breeding female alpaca should have. 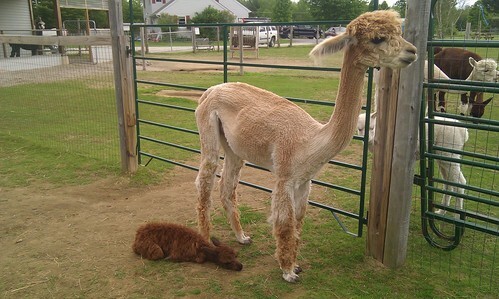 She has a great milk supply, a receptive breeder, she passes on her full fiber coverage on to her cria, and she's an overall great mix in the herd. 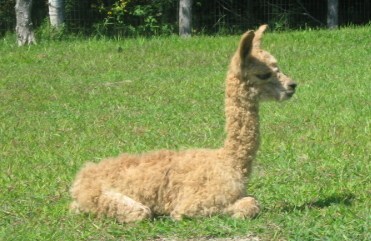 Her fiber produces exceptional yarn each year and is always quick to sell. Sonni is still young as a breeder and has many great offspring yet to come. 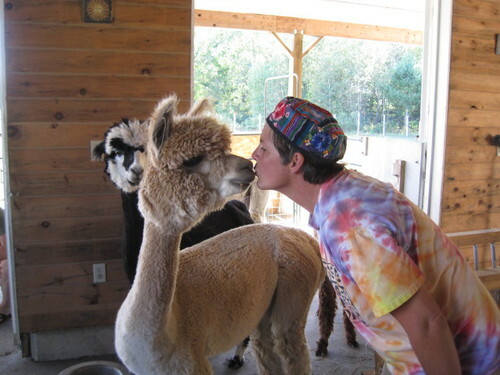 Pair her with your stud, (or one of ours), and see what she brings to your herd!